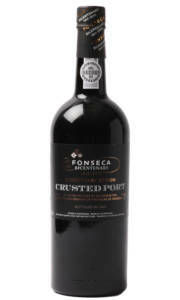 £22.00 More info & buy	The port is matured for a short time in barrel and then rested in the bottle for three years prior to release. During this period the sediment, which is always unfiltered, forms a crust in the bottle. Therefore giving you a "vintage character" without a vintage price tag. The complexity and layers of flavours are truly stunning. The rich characters of sweet blueberry and raisin are followed by subtle eucalyptus notes and a marzipan finish. Due to the youthfulness of this Port, decanting will indeed help develop flavours, but it is not vital as a 'crust' has yet to form.